Duterte also placed the entire BOC police on floating status and required its members to report to and hold office at the Malacañang gymnasium. DAVAO CITY, Philippines — Exasperated by corruption and large-scale drug trafficking through the Bureau of Customs, President Duterte has directed the Armed Forces of the Philippines (AFP) to temporarily take over the BOC. “I am ordering everybody to report to my office. Maybe I’ll issue the memorandum... I have yet to sign it,” the President said during the birthday celebration and thanksgiving party of former foreign affairs secretary Alan Peter Cayetano at the Marco Polo Hotel here on Sunday night. Duterte issued the order as former AFP chief of staff Rey Leonardo Guerrero replaced Isidro Lapeña, who has been appointed chief of the Technical Education and Skills Development Authority. Guerrero was directed by Duterte to talk to Finance Secretary Carlos Dominguez III, whose department supervises the BOC, on the mechanics of the military takeover, particularly on the technical aspects of Customs operations. “Ask (Dominguez) if the guys who supplied the x-ray (machines to the BOC) can send a representative here to teach our technical men in the Armed Forces – a lot of them,” Duterte told Guerrero. The President also stressed that for any container to be released from the BOC, there should be three signatures. “(There) will be about (six pairs of) eyes there,” Duterte said. Duterte lamented that in spite of graft and corruption in the BOC, it takes a long time to dismiss erring employees. “(We) cannot just dismiss them, even as we deal with the day-to-day reality. Almost all of them there have been – in one way or the other – charged with corruption,” Duterte said. The President noted there are legal impediments that hinder moves to rid the BOC of erring personnel. “We want to be lawfully correct so we are careful,” Duterte said. But Duterte said he has no time to sort out the BOC from the inside. “I’ll have to file a case which could – appeal after appeal – last for another 10 years. (By that time), we have lost so many billions and you are destroying my country,” Duterte said. As this developed, a composite military contingent is being formed for deployment to the BOC, the AFP announced yesterday. Brig. 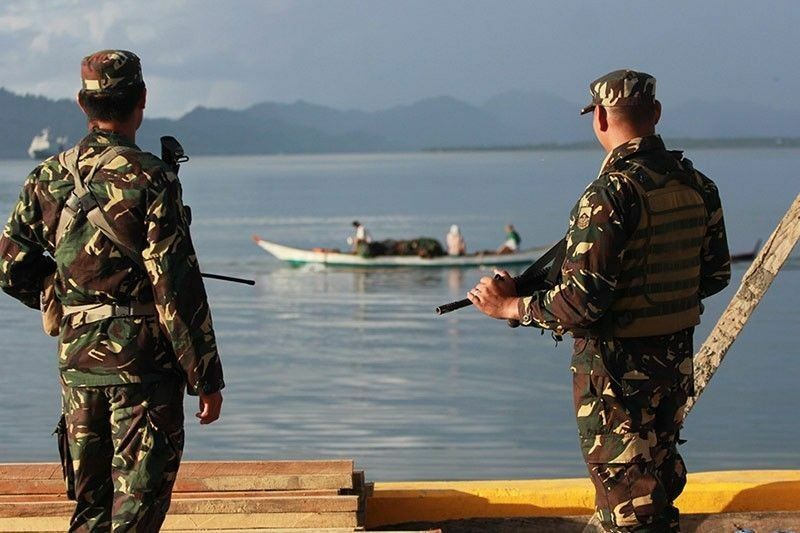 Gen. Edgard Arevalo, AFP spokesman, however, reiterated that the military deployment will just be temporary while Guerrero is assembling his own team to run the bureau. “The AFP has taken cognizance of the directive of the President to support the BOC in the performance of its mandate. We are thankful to the President for his trust and confidence in the integrity and professionalism of the personnel of the AFP,” Arevalo said. Earlier, Defense Secretary Delfin Lorenzana endorsed the deployment of soldiers to the bureau. “The AFP chief of staff, Gen. Carlito Galvez Jr., concurs with (Secretary Lorenzana) that the AFP personnel (will) be assigned to the BOC (on a temporary capacity),” Arevalo said. Arevalo assured the public that the contingent’s composition will be of unquestionable integrity, good repute, known competency and professionalism. “Such capability will be in, but not limited to, intelligence, technical expertise and support and operations,” Arevalo said. Amid questions about the constitutionality of the military takeover, Justice Secretary Menardo Guevarra said yesterday there is nothing illegal in Duterte’s order. “Certainly, it will not violate the civilian supremacy rule under Section 3, Article II of the Constitution because the BOC chief is a civilian and the BOC remains under the Department of Finance, which is still under the President,” he explained in a text message to reporters. Guevarra added that Duterte, as President, has the power of supervision and control over the entire executive department. “Putting the (BOC) under the watchful eye of the AFP is a temporary measure to ensure that the massive entry of illegal drugs, which threatens public safety, is immediately stopped,” Guevarra stressed. Lawmakers, however, had varied reactions on Duterte’s move. “It will be very interesting how things turn out in the BOC with this move. I believe drastic measures are needed to finally crack the whip in the bureau,” Sotto said in his Twitter account. Sen. Panfilo Lacson, chairman of the committee on public order and dangerous drugs, said the Duterte administration should learn from history and establish a focused counter-intelligence system to curb corruption and prioritize leadership by example. Such moves, Lacson said, can help curb corruption without having to tap military officers. Sen. Francis Pangilinan said the move is of doubtful legality. “What does AFP know about collecting taxes and tariffs? The bureaucracy is becoming militarized,” Pangilinan said. The Duterte administration should strike a delicate balance between cleansing the graft-ridden BOC and maintaining the country’s trade and finances, an administration lawmaker warned yesterday. “The BOC’s triple-mandate must be considered: that of revenue collection, trade facilitation and border security, and the delicate balance among the three must be maintained,” Muntinlupa Rep. Ruffy Biazon, who served as Customs chief during the previous administration, reminded the government. Surigao del Norte Rep. Robert Ace Barbers – chairman of the House committee on dangerous drugs – supported the use of former Customs intelligence officer Jimmy Guban as witness against certain drug suspects.